Ready-to-use reagent kit for ploidy level determinations. Ready-to-use reagent kit for nuclei extraction and DAPI staining of nuclear DNA from plant tissues in microtiter plates in order to determine ploidy level. For the preparation of nuclear DNA staining for a variety of plant species and different plant tissue types. Analysis should be performed on a flow cytometer with UV excitation from a mercury lamp, UV-LED or UV laser. 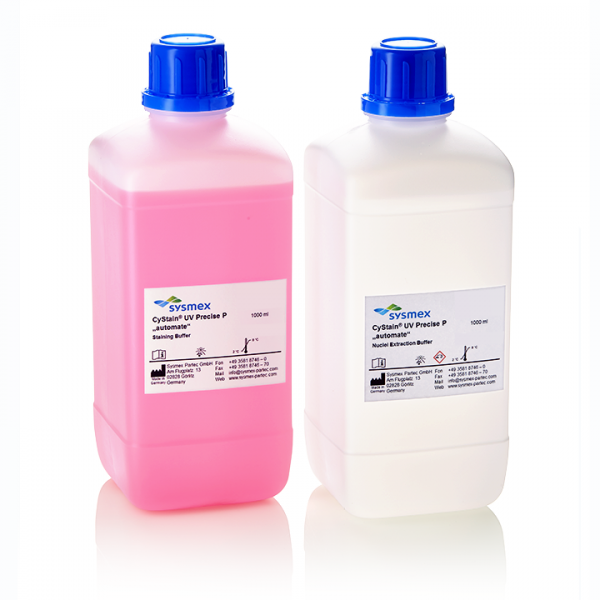 Each kit includes 1L of extraction buffer and 1L of staining buffer.